Gold – A redundant relic or essential insurance? Gold viewed as an investment divides opinion. ‘Gold bugs’, who are often die-hard pessimists, enthuse about gold as the ultimate safe-harbour in a forthcoming investment storm they believe will destroy the value of most traditional investments such as shares and bonds. By contrast, there are those such as Warren Buffett believe that gold has no place in any sensible investor’s portfolio. Buffet has pointed out the seeming absurdity of the gold industry, in which a commodity is dug out of one hole, a mine, only to be placed in another hole, a bank vault, so “if you own one ounce of gold for an eternity, you will own one ounce at the end”. It may seem surprising that as ardent Buffett fans, who have held his Berkshire Hathaway investment company in The Vanbrugh Fund in the past, we believe gold does have a place in a prudent investor’s portfolio. Archaeologists have discovered humans have always seen gold as a substance of supreme value, with its use in jewellery, an industry accounting for around half of recent global demand for gold, dating back thousands of years before Christ. King Croesus of Lydia minted the first gold coins around 550BC and gold’s use in coinage was the first step in what has remained an important role in creating confidence in state finances. From physical usage in coins, the use of gold standards developed by which a country’s authorities were limited to creating currency backed by a convertibility into an equivalent value of gold. Keynes argued that gold standards, rather than gold itself, were a “relic”, and he is right in the sense that countries abandoned them through the twentieth century. However, the on-going importance of gold in central bank reserves show that it is wrong to conclude gold itself “is a relic from a time when governments were less trustworthy”. Central banks have been substantial net buyers of gold since late 2009, notably those of China and Russia. Alan Greenspan, the former Chairman of the US Federal Reserve rhetorically asked in 2014 “Why do central banks put money into an asset which has no rate of return, but (has) costs of storage and insurance?” In answering his own question, Greenspan explained central bankers’ motivations in owning gold, “Gold is a currency. It is still, by all evidence, a premier currency. No fiat currency, including the dollar, can match it.”3 Thus even though the International Monetary Fund has banned its members from linking their currencies to gold since 1978, this has not prevented its lasting role as a reserve currency. 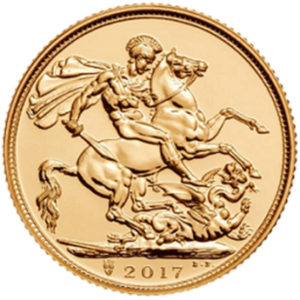 The current attraction of gold as a reserve currency is enhanced by low interest rates, given gold does not generate a yield, and this is particularly so when interest rates are below the rate of inflation as many expect them to be for a long time to come. We are currently favouring funds that have the majority of their assets invested in gold mining equities rather than holding the physical metal. In September 2011, the price of gold reached a peak of almost $1900, before falling back close to $1000 in late 2015, since when it has recovered to around $1250. The managements of most gold mining companies wasted the times of high prices on speculative developments, kept a poor rein on their cost bases and generally failed to reward their shareholders. This meant that when the gold price fell, the profits and share prices of gold mining companies dropped dramatically. However, since 2013 there have been huge improvements in the sector’s management. Costs have been cut, and many gold mining companies are more profitable at the current gold price than the valuation of their shares would imply. This means well managed funds invested in gold mining equities have potential to translate any rises in the gold price into much larger gains in the value of their investments. Due to these dynamics, relatively small exposure to specialist gold funds in a portfolio should provide disproportionate diversification benefits to the size of the investment. At a time when most assets are highly valued, and it is hard to build diversified portfolios, we believe investors would be well-advised to consider the merits of gold funds. Indeed, we believe gold is one of the best ways of insuring against some of the most serious risks in the global economy and financial markets. Albeit, as with any insurance we hope it will not be required, but it is prudent to have it. 1 Writing in his book Indian Currency and Finance 1913. Keynes was referring to the use of gold by governments as a means of ensuring confidence in the management of currencies. 2 The US Geological Survey of 2011 estimated that around three quarters of the Earth’s gold has been mined. This does not account for the prodigious quantity of gold in seawater or elsewhere in space. However, as gold accounts for only six parts per trillion in seawater extraction of gold from the sea or from asteroids would only be commercial at vastly higher gold prices. 3 Speaking to the Financial Times journalist Gillian Tett (Financial Times 22nd November 2014). A fiat currency is one whose country’s authorities have declared to be legal tender, but whose value is not backed by linkage to any physical commodity. Its value will therefore fluctuate partly based on investors’ confidence in the authorities’ economic, fiscal and monetary policies. 4 The proportional value of gold relative to global financial assets would be likely to rise rapidly in these circumstances, with its price gaining in tandem with falls in the value of most other assets. The cause of this would be investors’ loss of faith in fiat currencies, and their desire for stores of value that cannot similarly be debased by any government. This would likely coincide with very difficult times in financial markets, and while over the long run this would favour investment in a variety of real assets, initially gold would probably stand out as the real asset most favoured by investors. Gold typically performs well when investors suddenly lose confidence in traditional assets, as shown by Goldman Sachs Global Investment Research June 2017. They showed that the gold price had risen in nine of the eleven falls of over ten percent in the value of the US equity market since 1973 (as measured by the S&P 500 Index). 5 Roy Jastram’s influential work of 1977, The Gold Constant, examined the role of gold since 1560, showing gold to be a poor hedge against inflation over short periods but an effective means of preserving spending power over the long term. Jastram also showed gold’s purchasing power increased during periods of deflation. It seems likely, given current circumstances, that any slide into deflation would be met by additional quantitative easing, thereby further debasing fiat currencies and boosting the attraction of gold. The economist Jill Leyland updated Jastram’s analysis to cover the period since 1977, which includes the time during which gold has ceased to be explicitly money with the removal of gold standards. Leyland concluded that while gold’s value fluctuates wildly, it preserves its real value in a way that fiat currencies do not. Principal Sources: World Gold Council website, BlackRock Gold & General presentation July 2017, Berkshire Hathaway Shareholder Chairman’s Letter 2011, Schroders SecularMarketForum March 2012, American Museum of Natural History website and MoneyMuseum website. This financial promotion is issued by Hawksmoor Fund Managers which is a trading name of Hawksmoor Investment Management (“Hawksmoor”). Hawksmoor is authorised and regulated by the Financial Conduct Authority. Hawksmoor’s registered office is 2nd Floor Stratus House, Emperor Way, Exeter Business Park, Exeter, Devon EX1 3QS. Company Number: 6307442. This document does not constitute an offer or invitation to any person, nor should its content be interpreted as investment or tax advice for which you should consult your financial adviser and/or accountant. The information and opinions it contains have been compiled or arrived at from sources believed to be reliable at the time and are given in good faith, but no representation is made as to their accuracy, completeness or correctness. Any opinion expressed in this document, whether in general or both on the performance of individual securities and in a wider economic context, represents the views of Hawksmoor at the time of preparation. They are subject to change. Past performance is not a guide to future performance. The value of an investment and any income from it can fall as well as rise as a result of market and currency fluctuations. You may not get back the amount you originally invested. HA2028.